interlocking Archives - Epic Paving & Contracting Ltd. When selecting the right type of driveway for your residence or business, consider the many interlocking driveway benefits. From design flexibility to durability and strength, choosing interlocking paving provides excellent options for any building. One of the best interlocking driveway benefits is the ability to truly customize what you want. There are numerous options available. For example, you can choose herringbone, diamond, or hexagonal. Select the shapes and colors that match your individual style and taste. Various thicknesses and sizes are also available. Enjoy design creatively. Allow your interlocking driveway to flow with the landscaping and architecture of your residence or business. Colors can match whatever you desire, from rustic masonry to clay brick. There are exceptional durability and strength in interlocking paving. With a unique ability to withstand very heavy loads, you can be assured that there will be superior stability. This is especially important in areas with extreme weather. For example, this paving withstands extreme heat and cold well. Interlocking driveways can last for decades. The tight interlocking design makes it more durable than traditional poured concrete surfaces and black asphalt. You will find that the interlocking design can outlast these other options. Cracks and unsightly potholes are not common for interlocking driveways, unlike asphalt, stamped concrete, and concrete. Besides an affordable initial installation cost, interlocking driveways are very easy to repair. They have very low maintenance costs. You do not need to destroy the entire slab, as you would for other paving options. Instead, this paver system is easy to repair. Simply lift and replace. There is little to no hassle involved. Damage is minimal over time. Because of the flexibility of each individual unit, the slight movement does not lead to cracking. The interlocking pattern is truly the most flexible, durable option for any residence or facility. This entry was posted in interlocking and tagged driveway, interlocking on June 18, 2018 by epicpaving. Choose the best interlock driveway designs for your home with these popular and economical ideas. Complement your residence with artistry and architecture. Add durability and aesthetic beauty. Make your entranceway appealing and functional for decades to come. Interlock driveways provide an aesthetically pleasing way to seamlessly link your landscaping with your home’s organic architecture. The beautiful patterns created by the interlocking textures translates into an intricate cohesive look lending style and functionality. There are a wide variety of shapes and patterns to choose from. Create memorable front entrance design by combining exquisite lighting, statuary, and pillars to your front driveway layout. Additional lighting provides safety and security while giving you an opportunity to showcase your home. Integrate stone steps, exotic foliage, and even a stunning fountain or small cascading waterfall. The interlock look will set your residence apart in your community. When choosing popular driveway designs, don’t forget durability and functionality. Interlock driveways provide a safe surface that often withstands bouts of freezing temperatures and reduce slippage. Enjoy relatively low maintenance. It can add protection against flooding and guide drainage. Repairing the driveway can be as simple as replacing a few cracked stones, saving you money and time. While a traditional driveway may seem a better value, in the long term, the benefits of interlock driveways truly pay for themselves. Their unique design can transform a blasé and unsafe traditional driveway into a luxurious and long lasting memorable pathway into your home. For families restoring older homes or wanting to modernize their current home, interlock driveway designs can truly add beauty and function to an old, cracked driveway. Incorporate style by taking advantage of your home’s organic beauty. Let the landscape guide you. Discuss how you can incorporate walkways, steps, masonry, and other architectural elements with paving professionals to design the ideal look for your residence or business. Take advantage of the large number of designs, patterns, and shapes available to you. Develop your own style. Create a unique look for your home with these excellent driveway design ideas. This entry was posted in interlocking and tagged driveway, interlocking on April 18, 2018 by epicpaving. The key is in the name, here – “permeable”. Permeable pavers allow water to penetrate its surface and seep down into the ground. That’s a natural and environmentally sensitive way to handle the issue of standing water, which can damage patios, walkways and the like. Any sort of sustainable installation needs to handle that runoff well, and using permeable pavers reduces runoff pollution. It’s an environmentally-friendly choice! Because pavers allow the water to filtrate into the ground, they are cooler than comparable impervious surfaces. Asphalt or concrete on a hot summer’s day can become very hot indeed; permeable pavers will often be several degrees cooler in the summer. You can add to that effect by picking light-colored pavers; that will also help reflect sunlight and heat, reducing the ambient temperature even further. Plain old concrete can be boring to look at – though stamped concrete options do exist. Asphalt can be high maintenance and crack – great for a driveway, but not so great for your backyard. Pavers, however, come in a wide variety of styles, colors and patterns, and their installation can take many different forms and shapes. No matter what design you have in mind for your backyard, permeable pavers can help add that little extra aesthetic spark to it. Epic Paving has been adding distinguished elegance to properties with interlocking stones for over 20 years, and you’ll be amazed at the quality of our workmanship. We’ll help you pick the right pavers and design that fits your plan and budget. From the moment we start on the sub-base to the final stages of cleanup, we take every possible step to leave your property with a great-looking (and exceptionally durable) feature. This entry was posted in interlocking and tagged interlocking, pavers on July 28, 2017 by epicpaving. An interlocking patio is a great choice – easy to maintain and long-lasting, it provides a great aesthetic look to your backyard while also being highly functional. Of course, like any other surface, it’s important to take proper care of your new interlocking patio to get the best long-term performance out of it. Here are some tips on how to keep your interlocking patio looking pristine and new for years to come. This is both for obvious reasons – dirt, leaves and yard waste don’t make for great looking patios! – but sweeping also includes a preventative element. If you leave too much built-up dirt, grass seeds can easily sprout. Once grass gets an opening, it’s a nightmare to remove – and it can even crack cement, much less interlocking pavers. Nip that problem in the bud! If weeds or grass do get a foothold, white vinegar and dishwashing soap is a great way to kill any vegetation that you can find. A soft wire brush is a great way to get rid of any stains on your patio. You don’t want to use a course or stiff brush, because that can leave a mark on the pavers themselves. A soft brush allows you to get the necessary oomph to remove stains without damaging the pavers. Pressure washing is a fine for stone and brick patios, but be a little careful. You want to aim at the stones themselves, and not at the grout, which will be less resilient. We recommend starting with lower power and ramping up as you see how effective it can be, rather than starting out too strong. We advise that patios be sealed once every three years. This helps prevent the polymeric sand from degrading – that helps prevent weeds from breaking through your surface. It also keeps your grout looking great, and that can be the most difficult part of a patio to clean. This entry was posted in interlocking and tagged interlocking, patio, paving on July 28, 2017 by epicpaving. What Does Your Paving Estimate Include? 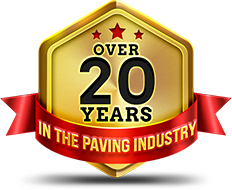 You’ve called a paving professional like Epic Paving, asking about your new asphalt construction or maintenance. You’ve explained what you need done, and you want an estimate. But what does a good estimate include? 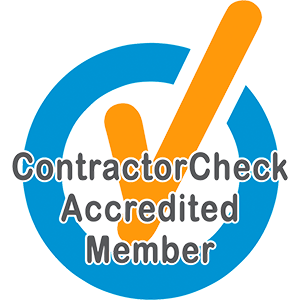 How do you know which contractor is right for you and your specific job requirements? An estimate without seeing the actual worksite in person can only really be an approximation. Visiting the site can allow an experienced contractor to better understand the project scope and spot any potential difficult aspects, allowing them to give you a more accurate estimate. Your contractor should talk with you about your needs and expectations for the project. You should understand the entire project from start to finish and ask questions of the contractor about exactly what would be involved to achieve your goals. Different projects require different materials. You may have to choose between asphalt, concrete and interlocking, and even in each category, there’s a wide range of possibilities. Different types of asphalt or concrete are appropriate for different situations, depending on your exact needs and requirements. Your contractor should discuss all options with you so you can make the best decision. The single most important factor for the longevity of your asphalt is water drainage, and that should be part of any discussion for new or refurbished asphalt. If water drainage is ignored, your new construction will be vulnerable to cracking, potholes and other damage. When dealing with a contractor, you should expect good communication. There should be a back-and-forth discussion about your needs and preferences, and you should get all the information you need in a timely and prompt fashion. If your contractor is difficult to talk with when setting up a job, you can’t expect them to suddenly improve when they’re on the job! A good contractor will have a list of customer testimonials and reviews to share with you, so you can see how many other satisfied customers they have. Ideally, they’ll provide you with either photos or addresses of previous work so you can check it out yourself before committing. This entry was posted in asphalt and tagged asphalt, concrete, estimates, interlocking on April 23, 2017 by epicpaving. 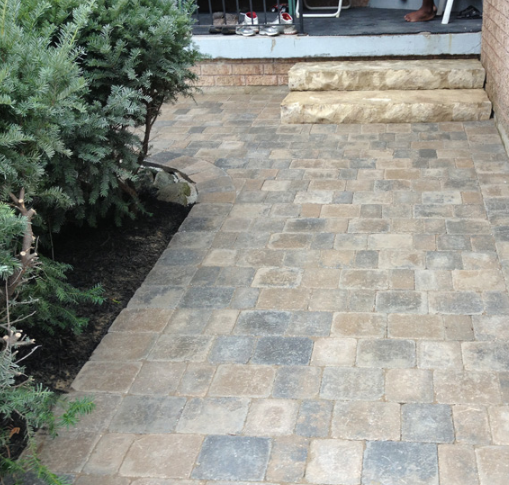 Interlocking pavers are a great way to upgrade your home. They can add an element of sophistication and class to your home. Interlocking driveways and patios are great looks, but interlocking’s uses aren’t just limited to those large paving projects. Pavers have a wide variety of uses, and can fit into any budget, large or small. Here are a few great uses for pavers you may have not considered. Not sure you can budget a full interlocking patio? Interlocking pavers can also be used to add some accents to your yard! An interlocking walkway or path is a great way to connect a pool or barbecue area to your house proper, and you can use small interlocking paving areas around those areas as well, to create a cohesive, structured look. A retaining wall or decorative wall is a great way to add some extra pavers to your home. Serving as a fence and highlighting the borders of your property helps frame and set a theme for the outside of your property. Pavers make an ideal choice for decorative walls, creating a sense of uniformity and order with intricate designs, helping create terraced looks and distinct areas. The pavers don’t need to stay out in the yard, however! Kitchens, family rooms, large dining rooms and especially fireplaces can benefit from pavers as well. It’s not just an aesthetic appeal, either – pavers can add functionality. For example, when used in a room with a fireplace, they can help protect your walls and floors from fire damage. Steps and stars are a classic use for interlocking pavers. Interlocking stones add a level of distinguished elegance, when properly designed and installed. It’s a long lasting, durable feature that will keep your home or business looking great for decades. It’s a great way to add curb appeal, increase your home’s accessibility and give your home a unique touch. For all your interlocking pavers needs, contact Epic Paving! We’re the GTA’s interlocking experts. This entry was posted in interlocking and tagged interlocking on March 28, 2017 by epicpaving.